Hugo Halliday was asked to copywrite a 500 word article for Mastercom for the radio industry publication, Critical Communications after securing advertorial placement. With a tight deadline of one week, Hugo Halliday worked with Mastercom to identify a case study which would be suitable for the fleet communications themed edition. A case study was identified, research and quotes were collated by Hugo Halliday and then article was developed. However, upon finalisation it was realised the article could not be approved by the appropriate government departments within the short deadline. 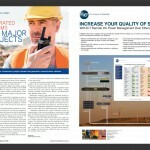 With one day to go and no back up case study, Hugo Halliday re-wrote the article so it didn’t specifically mention or talk about the case study, but rather focused on the broader fleet communications services Mastercom delivers for the same types of projects. 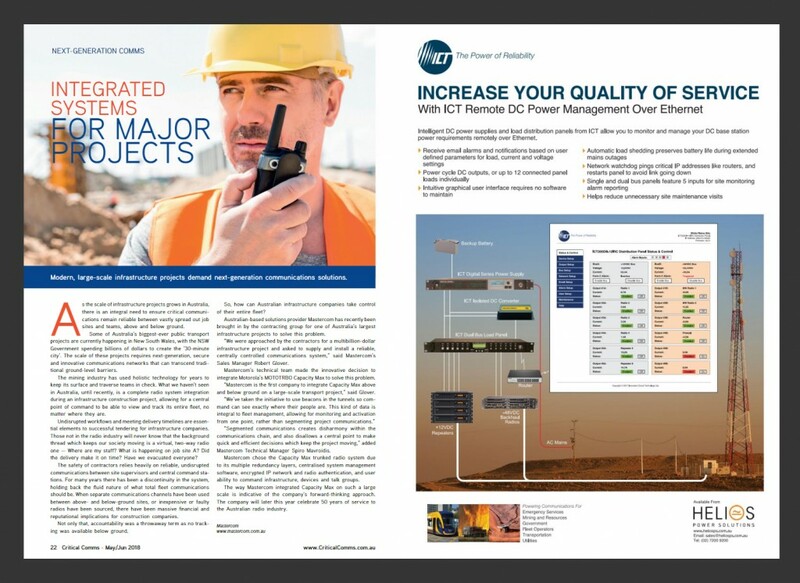 The article appeared in the May 2018 edition of Critical Communications on page 22.